This is the text of a speech to the 5RB Media law conference given by Professor Richard Sambrook on September 30th. In my experience, when you find yourself as the only journalist speaking in a room full of lawyers, it’s rarely good news. I hope today will be the exception – and appreciate the opportunity to speak to you. In such distinguished company no-one would look to me for legal insight or expertise, but I have been asked to offer an editorial view on recent developments in journalism and the law since the Leveson Inquiry – and do so based on 40 years as a journalist, editor and now an academic. But let me start by stating the obvious. Not all journalism is equal. I come from a particular tradition of public service broadcasting – the BBC – which is regulated and where journalism – with some notable exceptions – is well conducted. The BBC has firm editorial guidelines and a serious agenda. But not all journalism is like that. And not all editors, are the same. That’s not a criticism. Different values and cultures dictate the conduct of, and judgements made within, newsrooms. Lawyers rightly focus on the law. Editors weigh a wider range of factors: what do their readers or audience want? Some pursue a serious agenda, others are more populist. Some may cling to high principle. Others however, will be influenced by commercial, competitive or political factors – including in judging the public interest. For example, for some newspapers, that judgement is often a moral one. Whereas the gap between a politician’s public responsibilities and his private behaviour may justify a sting in some circumstances, we know that in others prurience is a stronger factor. And different kinds of news demand different kinds of process and attention – and arguably standards. The minute by minute environment of 24 hour broadcasting is very different from a lengthy newspaper investigation. And both are different from a freelance story which arrives on the desk. The supervision and decisions to publish can vary widely – and as section 4 of the defamation act acknowledges, we must have regard for all the circumstances of each case. So while we may debate points of law – we should acknowledge that in the editors offices, it may not be their primary concern. In terms of tangible outcomes from the Leveson recommendations the focus has of course been on regulation. I don’t propose to enter the debate about whether IPSO is Leveson compliant or sufficiently independent. It now has a robust chairman and board and is undeniably stronger than the PCC its predecessor . The Editors code (together with the Ofcom broadcasting code) provides a sound basis for conducting responsible journalism. And it will be tested soon enough. However, since Leveson, there is definitely a stronger focus on the process of how information is gathered as well as the final story. As my Maths teacher used to say, we need to show our working as well as the answer. So if I were still an editor I would look at IPSO and the Director of Public Prosecution’s guidance on prosecuting media and conclude that an audit trail of decisions and supervision in sensitive investigations was more necessary than ever. I personally agree with the recommendation of the House of Lords Communications committee that media organisations should consider a two stage audit process to track and record decisions: firstly to commence an investigation and second to publish. Thus providing two internal check points for testing whether a story falls within the public interest and a record when evaluating individual cases. The fact remains however that many newsrooms have little if any such process in place – other than through retrospective construction. On Data protection, in response to the reports recommendation, the Information Commissioner has produced good and practical advice for both media and the public. A public interest defence remains paramount in justifying the use of personal information, however obtained. My view, is that attempts to give greater rights to force newspapers to reveal information “improperly gained” is potentially a breach of the Article 10 rights of the print media. (Article 10 of the Human Rights Act guaranteeing freedom of expression) From the media’s point of view, there is a world of difference between giving rights to prosecute journalists if it can be shown that illegal means have been used to obtain information and ACCESS to information which has allegedly been obtained through such methods. The first depends on quality of evidence and the decision to prosecute. The second means the media should be able to hold on to information – consistent with Article 10 rights – until the evidence proves that the information has been illegally obtained. In other words, the print media should be as robust in protecting the information that it has, to the same extent that it protects its sources. Above all, the Leveson inquiry has set a more sober climate in newsrooms – and as an educator I’m pleased to note a fresh enthusiasm for training in ethics. But while there may be greater sobriety now, as the Conservative MP Brooks Newmark can testify, it doesn’t mean the end of sting operations against public figures – or the public’s appetite for them. Before turning to the integrity of sources a final note on Leveson: I personally think his offered carrot of a British equivalent to the first amendment, enshrining media freedom, was a lost opportunity. It got overtaken by objections to political interference – and would have been difficult to draft (America’s First amendment to the constitution being framed as a constraint on Congress rather than as a right). But I personally think it would only have been helpful in countering the shadow many feel journalism has fallen under, and shielding journalism from undue interference. This climate has been further muddied by the Edward Snowden revelations and the reaction to them. Protection of sources, surveillance and appropriate oversight of state interference with the media and their sources seem to be a topic of the year. Now with the so called DRIP legislation passed, journalists are even more vulnerabe. A change of a definition by that statute means that it is not only “telecommunications data” which can be obtained by a simple RIPA request, but also online data such as web-based email and file hosting services like dropbox. In other words, no journalist in the UK should use their mobiles or regular email and web applications for confidential contacts with their sources or for storing material. It feels to me, from the media’s point of view, as if a significant line has been casually crossed. Is there a clear justification of why RIPA rather than PACE (Police and Criminal Evidence Act) was used? PACE requires a court order and offers the media an opportunity to argue against disclosure. More than that, is the current scale of RIPA requests – some 500,000 a year according to official figures, really justifiable? I recall in the Dale Farm decision in the High Court two years ago, the court supported the broadcast media’s attempts to prevent the police going on a ‘fishing expedition’ by trawling through 100 hours of material that hadn’t been broadcast in the hope of identifying miscreants. If that is the principle under PACE (which it is) then why doesn’t the same principle apply to raking through journalists phone records under RIPA? This is a source of a growing confusion for journalists. There seems to be an increasing number of statutes that can be used to circumvent PACE. Terrorism legislation (in the case of David Miranda) Theft Act (search warrants) RIPA, Police Act 1997, Official Secrets Act etc. There is currently no legal protection which crosses over and checks all the intrusive legal powers of the British state. I wonder if there should be a review of how many times these various pieces of legislation have been used to circumvent section 9 of PACE. It would be informative – and perhaps clear up some of the confusion. Currently, journalists suspect actions like Operation Alice conflict with their free expression rights under Article 10 of the Human Rights Act. It compounds the view of many that RIPA, designed for a simpler age, is now being abused in other ways. Of course the global nature of communications complicates many of these issues. The fact that The Guardian, a British newspaper, can place it’s Snowden documents in New York secure in the rights enjoyed by American media to avoid seizure illustrates the problems of applying national legislation to global media. Some have argued that The Guardian should be prosecuted suggesting laws have been broken and personnel endangered. But prosecutors must also judge whether a prosecution would be in the public interest (a second category of public interest) which I think is unlikely. It was an issue which polarised opinion. But in my view the case for prosecution fails at both hurdles. The pressures placed on The Guardian, the use of terrorism legislation to intimidate David Miranda, felt to some like mission creep under cover of security concerns. Journalism is not terrorism, so terror legislation should not be used to intimidate journalists. We can leave that to Egypt with their imprisonment of Al Jazeera staff. Too often the debate about privacy is pitched as Article 8 rights of privacy v Article 10 rights of free speech. But they are not necessarily in tension. If the media is to infringe privacy in the greater public interest it is right that it should be sure of its justification and not compromised by wrong choice of target or the manner in which the investigation is conducted. (And of course it may require some privacy itself in order to ensure that). That’s why so called “fishing expeditions” – where the media casts widely to see if it can catch some misbehaviour – are problematic. Last weekend has provided us with a rich example to discuss. 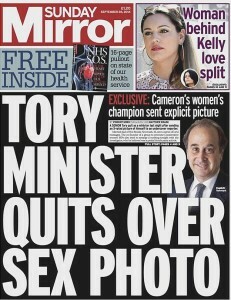 Conservative MP Brooks Newmark resigned after The Sunday Mirror found he had sent indecent pictures to a fictional account on Twitter. The Mirror argues a public interest in revealing private behaviour which conflicts with his public responsiblitilies – as womens champion – in government. But he seems to have been caught through a freelance fishing expedition which some see as entrapment. Further, the male freelance journalist used pictures of women, without their knowledge or agreement, as he pretended to be a young female PR executive. 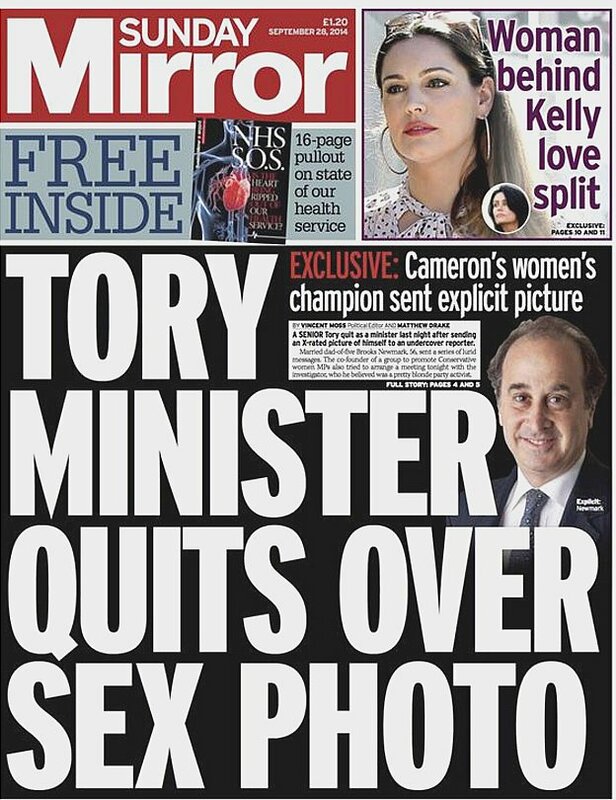 And he sought to lure a number of MPs into inappropriate behaviour. What does the Editors code say? Engaging in misrepresentation or subterfuge, including by agents or intermediaries, can generally be justified only in the public interest and then only when the material cannot be obtained by other means. The PCC ruled on the Telegraph sting on Vince Cable in 2011 that it had “consistently ruled that so-called ˜fishing expeditions’ – where newspapers employ subterfuge and use clandestine devices without sufficient justification – are unacceptable”. The Mirror’s Editor in Chief said on Twitter that it has a “nailed on” public interest justification for the story on the basis that Mr Newark was a sponsor of a Conservative Party initiative to attract more women into politics and that he had mentioned this scheme in the exchanges. But Mr Cable’s opinions about Rupert Murdoch – revealed in the Telegraph sting were also in the public interest, and did not prevent the Telegraph from falling foul of the rule against fishing expeditions. That same tweet from the Mirror executive suggests that because it came from a freelance reporter means it was not a “Mirror sting”. But the editors code requires the newspaper to justify conduct by agents or representatives as well as its’ own staff. It’ll be an interesting early test for IPSO. The internet and new technology have complicated privacy – even beyond so called “sexting” and the ease of digital entrapment. The public are making more of their lives publicly visible online – complicating what may be seen as private, semi-private or in the public domain and fair game for journalists. Certainly journalists would view anything visible online to be in the public domain. Through Twitter and other platforms, the public are also confronting in ignorance issues of contempt or defamation, placing information in the public domain which should have remained confidential. Celebrities are selling off aspects of their lives to the media for gain while using the courts if necessary to secure other aspects of their lives. Increasingly there is public concern about the commercial use of personal data by companies – who sell it to pay for the services the public enjoy. This new public/private arena has implications which are still developing and we are all still learning – privacy will remain a rich subject for debate. Finally, I’d just observe that Britain is apparently 33rd in the World Press Freedom Index (RSF). We might choose to take issue with some of the criteria used to calculate our place – below Estonia, Jamaica, Czech Republic, Costa Rica. Belize and Lithuania. Intimidation of the press, rows over regulation, use of privacy injunctions, the shadow of phone hacking – and perhaps next year the use of RIPA – contribute to this view. It’s one I don’t share. I believe we have a robust, independent and dynamic press properly supported by the law. However we shouldn’t be complacent. ← Will the true voice on climate change please stand up?